An arrest warrant has been issued for the second driver in a high speed crash that occurred during a drag race and killed three people last July in Bustleton. Ryan Farrell, 20, of the 10000 block of Northeast Avenue in Bustleton, is sought by the police Accident Investigation District on charges of causing an accident involving death, homicide by vehicle, aggravated assault by vehicle and involuntary manslaughter. 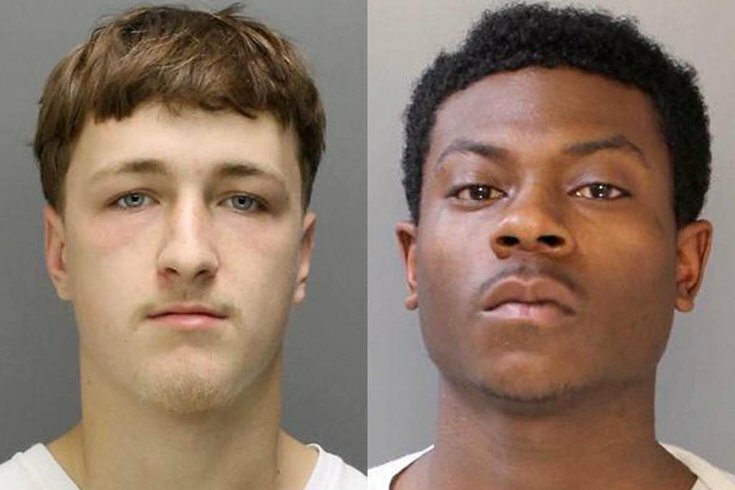 Police said they believe Farrell was operating a vehicle that was drag racing a 2007 Acura driven by Christopher Bloomfield, 20, of the 800 block of Knorr Street in Lawncrest, at about 11:44 p.m. on July 29, 2015 on Sandmeyer Lane, off Red Lion Road. Bloomfield's car struck a tree during the race, killing three passengers: Yvette Gonzalez from 700 block of Shawn Street, 17; Sabrina Rhoads of the 100 block of Newberry Street, 17; and Felip Hernandez of Medford, 20. Bloomfield was arrested Saturday at his home without incident, police said, for his involvement in the fatal crash. He is currently jailed on $2 million bail after being charged with three counts each of homicide by vehicle, aggravated assault while driving under the influence, homicide by vehicle and other related offenses, police said. Bloomfield's vehicle split in two and ejected the two female passengers, law enforcement officials said, while the third passenger, Hernandez, was trapped inside the vehicle. All three were pronounced dead by emergency responders on scene. A fourth victim, a 17-year-old male found on the road suffering from severe head, femur and pelvic injuries, was immediately transferred to Aria Torresdale Hospital in critical condition, and later transported to Thomas Jefferson University Hospital's trauma unit for surgery, police said. On Monday, police said that victim remains in critical condition. After the crash, police said, law enforcement officials were notified that Bloomfield was transported to Einstein Medical Center by private vehicle in clothes covered in blood. Anyone with information on the whereabouts of Ryan Farrell is asked to please contact the Accident Investigation District at 215-685-3180 or call 911.